Owner financing homes in Texas are in great demand among credit-challenged buyers. 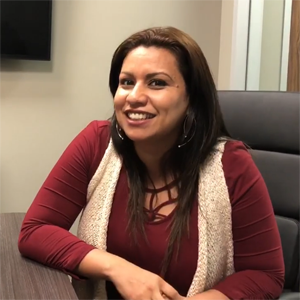 Owner financing in Texas enables these buyers to become a homeowner without the need for a mortgage from a conventional lender. Banks have strict underwriting norms, but in an owner financing arrangement you can buy a home with no credit check because you and the seller can customize a financing agreement. This is what makes owner financing in Texas such a great option for credit-challenged home buyers. Owner financing - also known as seller financing - is gaining popularity in the Texas real estate market for the simple reason that a large number of people are not able to qualify for a conventional mortgage. Banks are tightening their underwriting norms and putting mortgage applications through a lot of scrutiny. Owner financing gives these people a shot at home ownership. In an owner financing arrangement, you borrow from the seller instead of a conventional lender such as bank. You pay a fixed amount of monthly installment to the owner for a fixed number of years. The seller can foreclose if you don’t pay off the loan, just like a bank does. When you take out a mortgage from a bank, you need to follow certain legal formalities. The same happens when you get the owner to seller finance a home to you in an owner financing arrangement. Owner financing arrangements are highly customizable. It means that there is no set rule when it comes to determining what down payment you should pay to the seller. You and the seller can negotiate to decide the down payment amount. It can be anywhere between 2% and 25% of the property’s sales price. Many sellers would ask for a balloon payment after a fixed number of years. For example, you may be asked to pay a large chunk of principal amount after 5 or 10 years. Amortization period is the number of years it will take you to pay off the loan. The amortization period in an owner financing arrangement could be anywhere between 5 years and 30 years. You will typically pay a slightly higher interest rate than what you pay to a bank. Keep in mind, the seller is not an institutional lender. The risk that the seller takes by owner financing his or her home to you is compensated to some degree by a higher interest rate. You will typically be offered a fixed-rate mortgage in an owner financing arrangement. What it basically means is that the interest rate won’t change throughout the amortization period. So for example if you agreed to a 7% interest rate, you will pay the same rate until you have paid off the loan. A promissory note is the most important document in an owner financing contract in Texas or anywhere else for that matter. This document specifies the amount of loan that you need to pay off, the amount of your monthly installments, interest rate, payment schedule, balloon payment (if applicable) and when you need to pay it or involvement of a third party service such as a note-servicing company to facilitate your payments. A promissory note also specifies consequences of late payments or delinquency. It also specifies legally binding terms in case you want to resell the property before paying off your loan. For example, some sellers may insist on including a due-on-sale clause in the promissory note. What if you defaulted on your loan? Well, the deed of trust empowers the seller to foreclose. It places a lien on the property’s title. The lien remains in place until you have paid off the loan. The deed of trust is usually recorded at the county’s record office or the court. It is a legal document that protects the seller in case the buyer defaults on the loan. Regular home sellers are mostly exempted from this law which makes it mandatory for the owner to have a license in order to owner finance. T-S.A.F.E usually applies to investors who make more than five owner financed loans in a year. The information given here is just for educational purpose. Make sure to consult with a qualified real estate attorney to know more about this law. You can buy a home with owner financing even if you don’t have a good credit score or can’t qualify for a conventional mortgage. You can close faster because no lengthy legal formalities are involved. When you take out a mortgage from a bank, you have to go through a lot of legal and other formalities which takes up a lot of time. Typically you don’t need to pay any processing fee or hidden charges, so closing is a lot cheaper. Since an owner financing contract is fully customizable, you can negotiate interest rate and other terms. Seller can enjoy a fixed income every month and can potentially save a lot of money by not having to pay capital gains taxes. Not many sellers want to sell with owner financing, so your options are limited when you are in the market looking for a home. You may have to pay a slightly higher interest rate than what you pay to a conventional lender. The legal formalities may be a bit daunting in case the property carries an existing loan or has a lien on its title. The reason is quite simple: Owner financed homes are usually not advertised in the Texas housing market the same way as the homes being sold traditionally through MLS are done. Most sellers are not even aware that there is such a thing as owner financing where they can extend financing to buyers. This ‘communication gap’ in the market acts like a missed opportunity for hundreds of people who are struggling to fulfil their homeownership dream due to credit challenges. So the question is: how can you find owner financing homes in Texas? Well, it’s difficult but not impossible. In fact, here at Buyer Investor Match we have invented this revolutionary TL Global System which works as a platform where credit challenged home buyers can buy any home they want without a credit check. 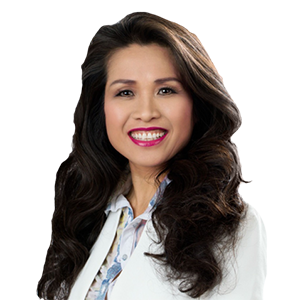 The platform connects these home buyers with our network of real estate investors who owner finance a home to them anywhere in Texas. You can hire a realtor to find a seller who is willing to extend financing to you. While this is the most obvious option, there are a few disadvantages. Realtors are really great at helping people to buy and sell homes. They search through their MLS and come up with a home that fits in your budget and needs. But when it comes to owner financing, they will have a hard time manually going through listings one by one, identifying which sellers they should approach and individually negotiating with them to owner finance a home to you. 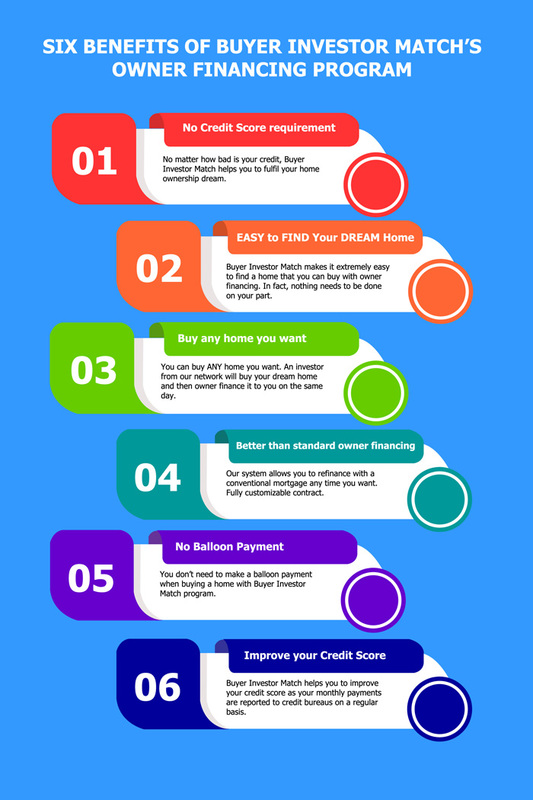 This will take a lot of time and there is no guarantee that you would be able to buy the home you want. So this would be kind of a hit-or-miss. Under a lease option or rent-to-own agreement, you rent a home for a specific period of time and have the option of purchasing it at the end of the contract period. You can go through home listings online to find lease option (also known as Lease with an Option to Purchase) properties. Some listings specify whether the home can be purchased through lease option. Once you make a list of rent-to-own homes, your next step is to approach these home owners one by one and ask them whether they would want to owner finance at the end of the rental period. It’s again a hit-or-miss. Some sellers would insist that they would want you to take out a conventional mortgage at the end of the rental period, while some may agree to an owner financing arrangement. Nevertheless, rent-to-own is a good option for people struggling with credit. Those who can’t qualify for a conventional mortgage can rent a home and purchase it at the end of the rental period (when their credit score improves and they can qualify for a conventional mortgage). Some home owners list their homes for rent and at the same time they list them for sale. These homes are the best candidates for an owner financing arrangement in Texas. To find these home owners, you should first go through rental listings and then listing of homes for sale. If the same home is listed for sale as well as for rent, you should contact the owners and ask them to owner finance the home to you. Most will at least consider your request. It won’t make much difference for them whether they are getting rent or monthly installment. For-Sale-by-Owner homes also known as FSBOs can be purchased in an owner financing arrangement. As the name suggests, when the seller is not being represented by a real estate agent, the listing is called FSBO. The seller who hasn’t hired an agent may likely be a bit more flexible when it comes to trying out creative financing arrangements such as owner financing. You should browse through free property listing websites, newspaper ads, Craigslist listings and other similar sources to find FSBO homes. You can also tour your target neighborhoods and look for ‘For-Sale-By-Owner’ sings in the yard. Approach the owner directly and ask them if they are interested in owner financing the home to you. Multiple Listing Service (MLS) managed by the official body of licensed real estate agents in an area can usually be accessed by only realtors, but in some counties they may be publically accessible. Check out if this is the case in your county. If so, go through the description and comment sections of each property listing. If you find that a home owner is willing to owner finance, approach him or her and negotiate. 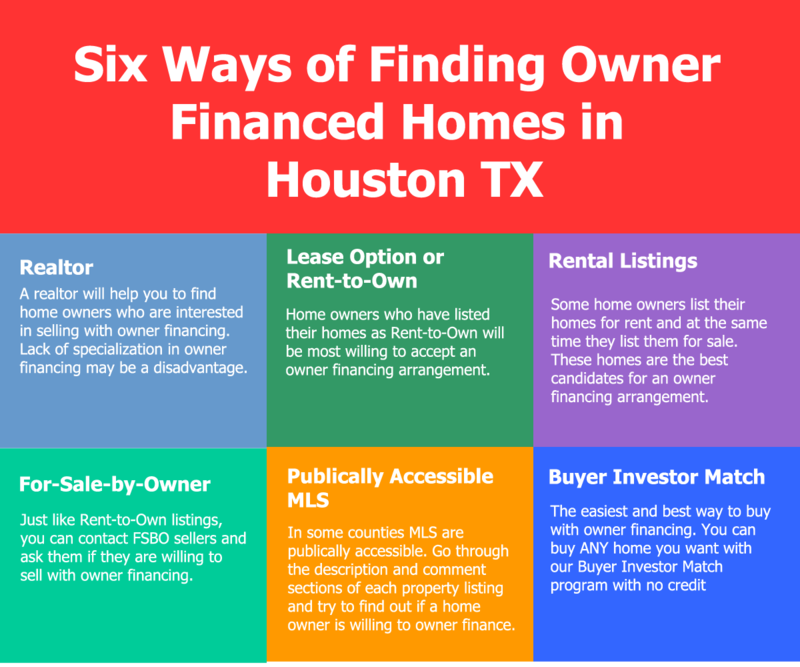 Now that we know some of the ‘traditional’ ways of finding owner financing homes in Texas, let’s discuss how we can make the process a lot easier. You can buy ANY home with owner financing in Texas with TG Global System. With our one-of-its-kind system, one of the real estate investors from our network buys ANY home you want from the actual owner. The investor then owner finances that home to you with no credit check. All you need is a 15% down payment. It is extremely difficult to find your dream home that the owner is willing to owner finance. There is no guarantee that the home you want to buy is up for sale with owner financing. But under our system, the owner sells the home to an investor from our network in the traditional way and gets his or her full payment on the closing day. The investor (not the seller) then owner finances the home to you. Most home sellers are wary of buyers who are credit-challenged. They won’t like to sell to a person with bad credit. With TG Global, you don’t buy the home directly from the seller. So you don’t have to worry about your credit score. Our program is better than Ren-to-Own. Most sellers won’t allow you to take out a conventional mortgage even if your credit improves a few years later and you can qualify for a bank loan. It means that you will be stuck with the owner-financing arrangement even if you want to get out of it. On the contrary, our system allows you to refinance with a conventional mortgage any time you want. Our system eliminates any efforts on your part to find a home that the owner is willing to sell with owner financing. You go for home shopping just the way you do when you buy a home with a conventional mortgage and can buy ANY home you want. Although owner financing contracts are customizable, the standard practice is that most home sellers would want you to make a balloon payment after a fixed number of years. There is no such necessity under our system. You never have to make a balloon payment. Our system enables you to improve your credit score as the note servicing company that you make the payment to reports your payments to credit agencies on a regular basis. Once your credit score improves, you can apply for a conventional mortgage. As already mentioned, owner financing is a great option to fulfil your home ownership dream in Texas. In an owner financing arrangement, you can close faster – even within a couple of days – because a bank or conventional lender is not involved in the process. Getting a bank to approve the loan and release the payment takes up the maximum amount of time in the home buying process. You can also potentially save a lot of money as you don’t need to pay processing and other types of fees to the seller. Many sellers are now opting for owner financing because it helps them sell their homes faster. They can target a larger pool of buyers. In most cases, they can save on taxes and make passive income – month-after-month, year-after-year. So it’s a win-win situation for both the parties. However owner financing is still not a common practice which we – here at Buyer Investor Match – are determined to change. We believe that everyone is entitled to have a shot at home ownership and a financial misstep from the past shouldn’t haunt you forever. With our program, you can buy a home in Texas if you are facing credit challenges due to any problems such as non-verifiable income, divorce, tax liens, delinquent medical bills, lack of social security number or identity theft.